Another custom POGO Skateboard is ready to shred. 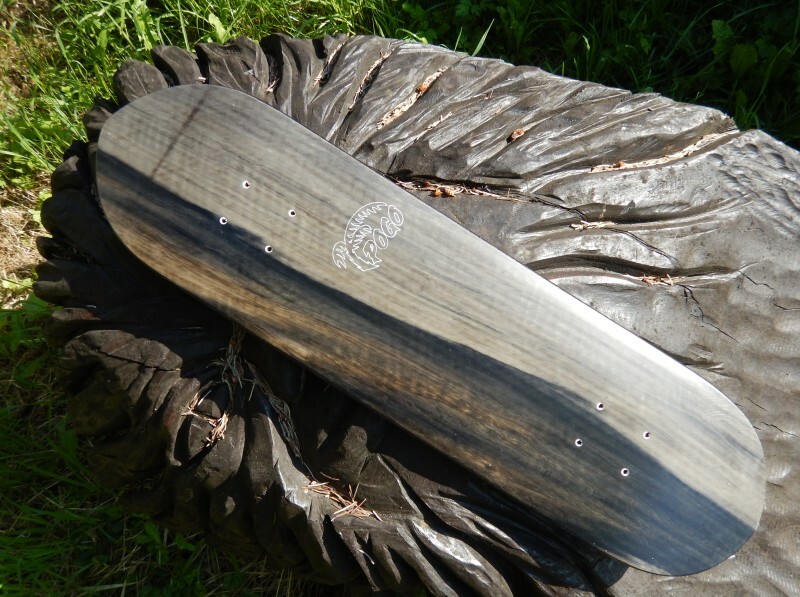 What most people don't know is that we also craft first class skateboards or streetdecks as some prefer to call them. Of course we build them according to our established quality and performance standards. You get an ultra light construction and super dynamic pop. Thanks to best ingredients and special detail solutions it's built to last and offers a great wooden design of course. Mount it and enjoy the sensational feeling of landing your tricks effortlessly. We're looking forward to more custom orders of this kind. All shapes are possible. Oldschool, pool, popsicle, you name it, we built it.